Many academics, from a variety of disciplines undertake research on STARS themes and topics. The new STARS Research Network will be an opportunity for academic and practitioner researchers to discuss ways to strengthen and raise the awareness of high quality education research about the student experience and the practical applications of this research. The STARS Research Network will be convened by Dr Sarah Carr, Dr Rebecca Bird, Dr Stephen Scott and Nicola Beatson of the University of Otago. Sarah and Nicola are the founders of SERGE (Student Engagement Research Group) in the Otago Business School at the University of Otago and Rebecca, Stephen and Nicola all work in the University of Otago’s Office of Student Success. The purpose of SERGE is to showcase, nurture and developqualityresearch being undertaken on all types of student engagement, across all disciplines, and at all levels. SERGE has grown in momentum and now has domestic and international members and spans a wide range of disciplines. Building on the success of SERGE the interdisciplinary STARS Research Network, provides an opportunity for academic and practitioner researchers to share ideas, methods, and approaches to high quality research and to connect with other like-minded researchers for future projects. Nicola works for both the Department of Accountancy and Finance in the Otago Business School, and is a Research Leader for the Office of Student Success at the University of Otago. All of Nicola’s research is focused on her students, and she has a passion for teaching the discipline of accounting to somewhat reluctant students! 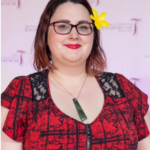 She has won several teaching accolades, including being named in the Otago University Student Association awards (student voted) as the ‘Premier Lecturer, Commerce Division’ in 2017 and the ‘Premier Lecturer, overall’ in 2018. Her research is primarily focused on the non-cognitive aspects of learning, and her publications are all interdisciplinary, drawing on literature from Accounting Education, Higher Education, and Educational Psychology. Her early success in research has led to several editorial board roles, including Heliyon, the Journal of Accounting Education, and Accounting Education. Rebecca is a Teaching Fellow in the Department of Anatomy, and a Research Leader in the Office of Student Success at the University of Otago. 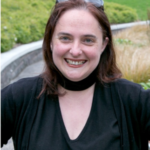 Originally from Wellington, Rebecca holds a PhD in Cellular and Molecular Biology from the University of Glasgow, and recently completed a Master of Higher Education from Otago. She teaches First Year Health Science, first year Physical Education and second year Anatomy papers, and in 2018 received both a University of Otago Award for Excellence in Teaching and an Ako Aotearoa National Tertiary Teaching Award for Sustained Excellence. She is committed to instilling a passion for science in her students and creating a supportive and inclusive learning environment, and is a kaiāwhina Māori for Anatomy. Her research interests reflect her student-centric approach, with focus on first year experience and student belonging, retention of knowledge and educational technology. Sarah has been Programme Manager for the Doctor of Business Administration degree at the University of Otago Business School since the inception of the programme in 2016. She currently teaches on both the Research Methods papers on the DBA. Originally, an historian with a passion for Vikings, Sarah has a background in quality assurance in higher education. 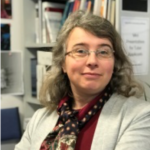 Her research interests are in the areas of understanding learning styles, and supporting student engagement and learning outcomes, especially for international students having studied in four different countries at various stages herself. Stephen is Head of the newly formed Office of Student Success at the University of Otago. He is of Ngāti Whātuaand English descent. 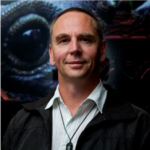 Stephen has a background in teaching Zoology and developing support for Māori science students. He was appointed as the Director, First Year Experience in 2016 where his research focus was on the use of institutional data to investigate student engagement, retention, wellbeing and success for first-year students and for first-year indigenous students in particular. Stephen now has the mandate to investigate opportunities to support student success in any student cohort within the University of Otago. He also worked, with a number of caring staff, to develop the Locals Programme which support students flatting or at home in their first year.